A rare, hard to find variety, with a dwarf habit. 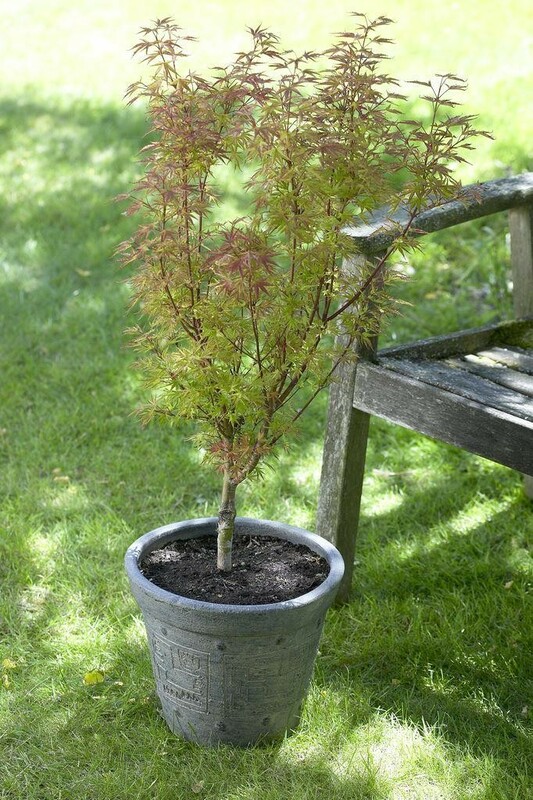 This densely-branched shrub form will grow over time to 5-6ft tall and wide, with thin branchlets. 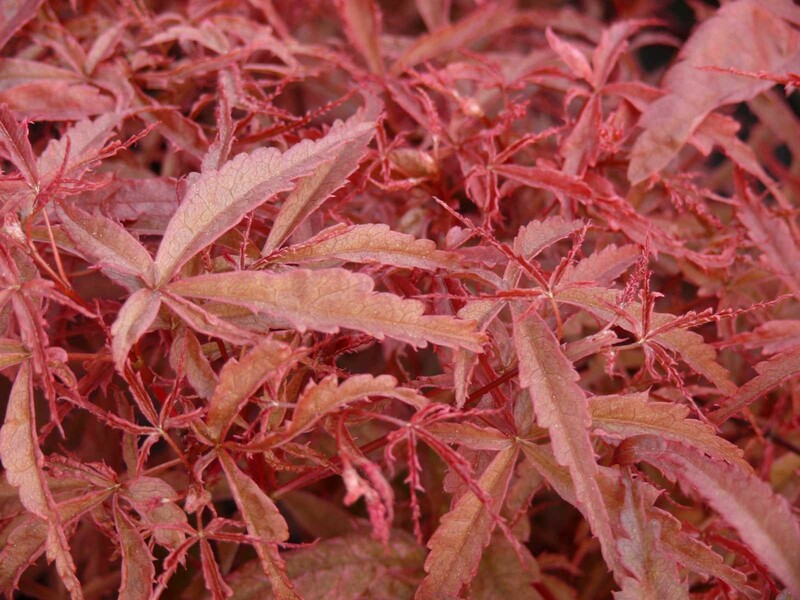 Leaves are curly, deeply dissected and bright red in spring, turning a bluish-red in summer. 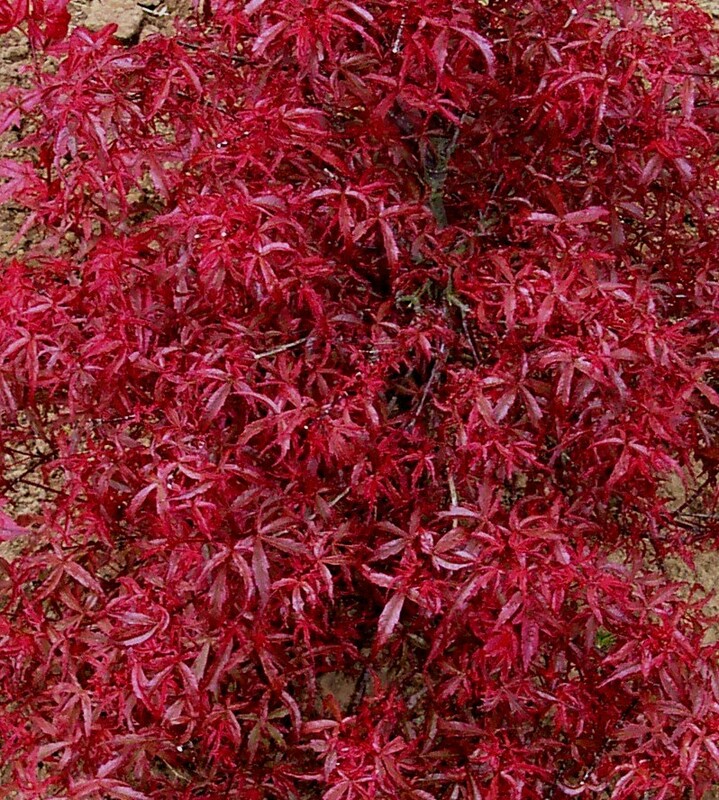 The autumn colour is outstanding - a spectacular shade of red. Supplied in approx 3 litre containers.